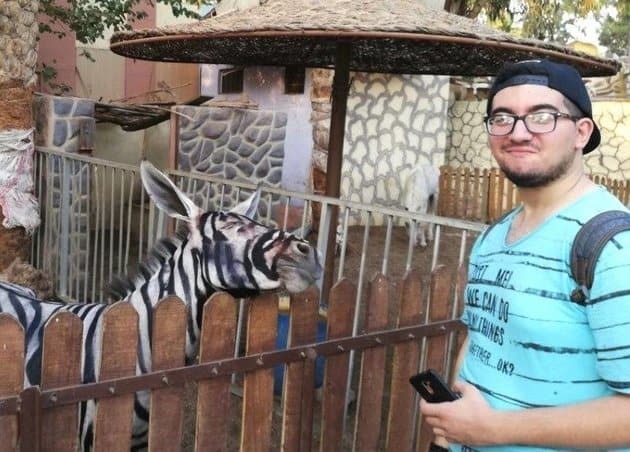 Mahmoud A. Sarhan recently visited the International Garden municipal park in Cairo, when he came across the zebra exhibit. Sarhan seen one of the zebras from a distance, and went in for a closer look when he became suspicious. As it turns out, the ‘zebra’ that was in the exhibit was actually a donkey painted with black and white stripes. The donkey lacks some of the distinctive features zebras have; a black snout, rounder ears, a longer mane, and stripes that aren’t entirely vertical. 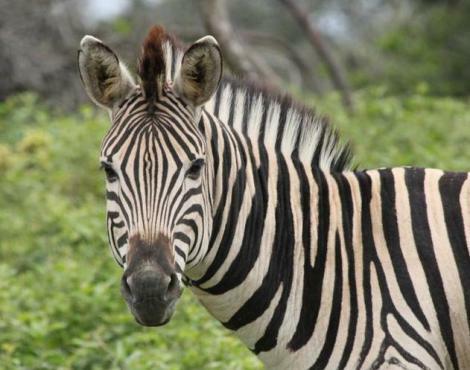 The zoo’s director, Mohamed Sultan, insists that the zebras are 100% legitimate to local radio station Nogoum FM. However a local vet has said that the zebra’s snout should be black and the stripes should be more consistent and parallel. Let’s not forget that real zebra’s stripes don’t actually smudge, unlike this wannabe. This isn’t the first time a zoo has tried to pass donkeys off as zebras either; in 2010 a zoo in Gaza purchased two donkeys for $700 because they were a lot cheaper than a $30,000 zebra. The zoo then painted stripes on the donkeys.